First up is Snow Way! , which was on my wish list for a while! This is 2 coats, it's a light sky blue with variouos sizes of white matte hex glitter. I mean. It's perfection. I love it so so much. 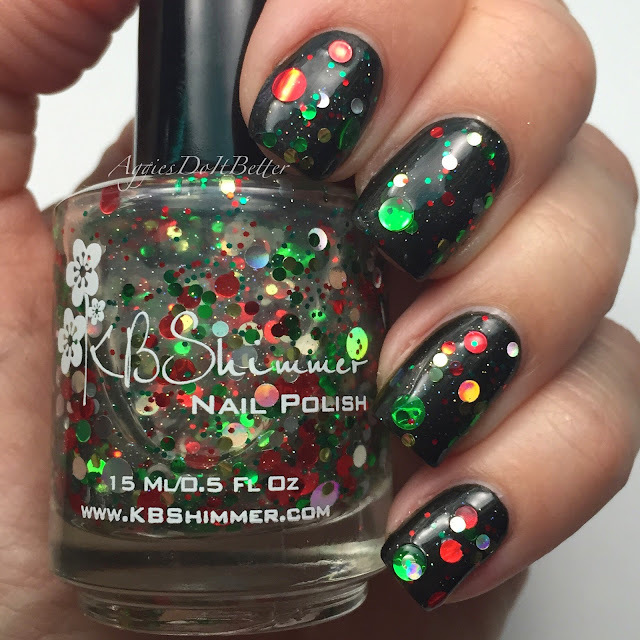 Next is Kringle All The Way, which is from her 2013 holiday collection. It's red, green, gold and silver circle glitter in a clear base. 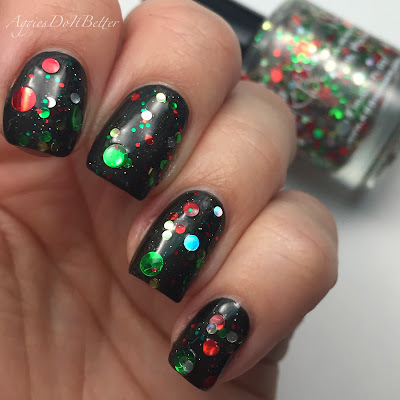 I brushed on one thin coat then dabbed a little extra to get the larger pieces of glitters on there, then topped with clear top coat to even it all out. The black base is OPI Queen of the Road. Man, I love this so much also! 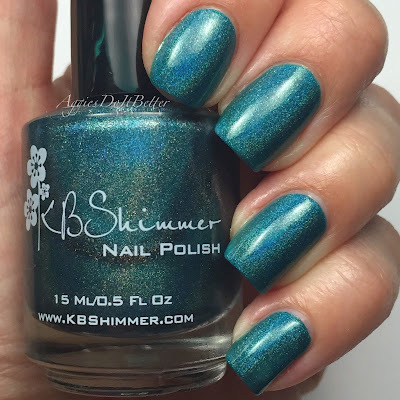 Lastly is Up and Cunning, from this year's holiday collection (along with Snow Way). This one practically needs no words. Its a teal holo cream with a strong blue shift. I believe it's listed as emerald green but on me it pulls strongly teal. 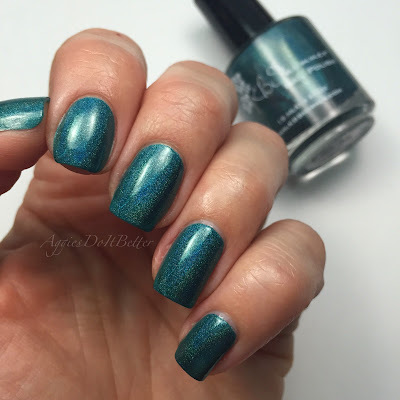 I'm not as much into holos as mannnny people BUT I have room in my heart for a few really really really special ones :) I wish I could have gotten a sun pic of this but we are in the middle of a never ending gray winter here so there is no sun to be found.